Some hardware components are simply easier to manage than others. 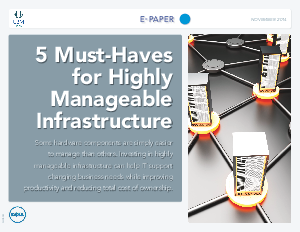 Investing in highly manageable infrastructure can help IT support changing business needs while improving productivity and reducing total cost of ownership. Here’s why to consider convergence.